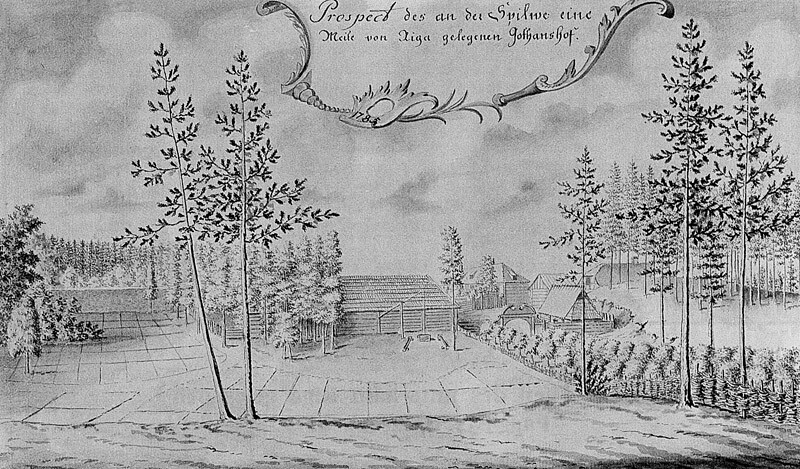 Rural property near Spilve in 1615 was purchased by town councillor Kaspar Drehling. Offspring of this family Gerthrude Drehling married to town councillor Andreas Gothan and manor house is named - Gothans manors. Manor house was inherited by son, town councillor Paul Gothan - he in 1774 sold it to brother-in-law Immanuel Just Essen, pastor to congregations of Dom and St.Peters church. Essen was an outstanding preacher who in special cases represented Riga Lutheran clergy. He was collector who was visited by the Berlin academician J.Bernoulli who saw rare, forbidden books in the collection of Essen letters of Voltaire, Diderot, Lavater. In this time - second half of 18th century manor was already called - Essen manor and thus it was called up to the second half of 19th century when it became property of the widow of Russian merchant Popov. 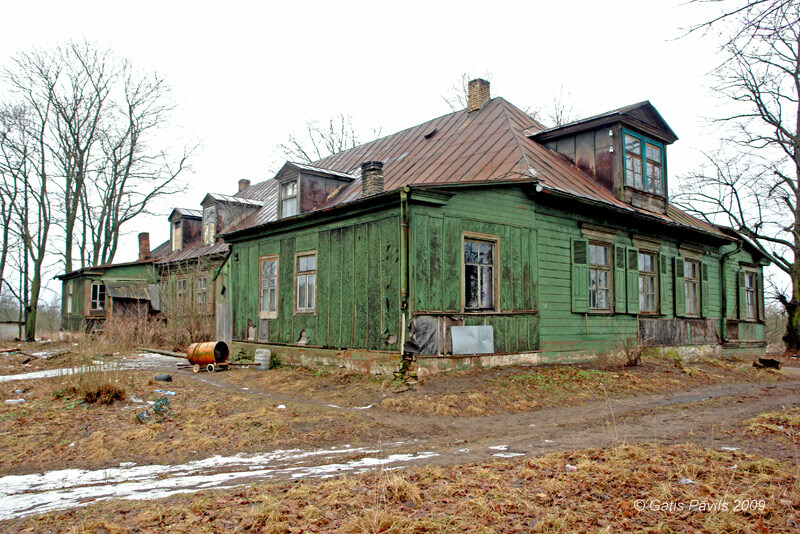 Manor and land surrounding it remained legate of Popov up to 1940. J.C.Brotze has pictured the centre of manor in 1785, marked on the map taken from the map of Tolk as Franz Drelings Hof. 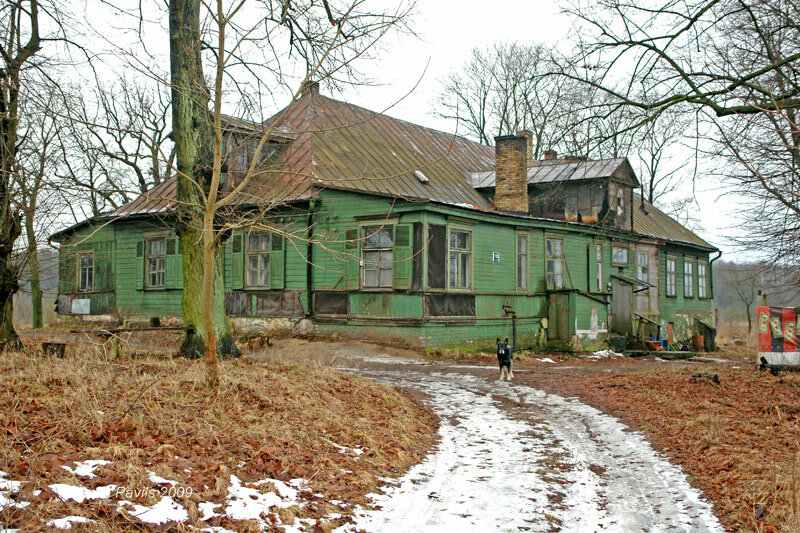 Nowadays manor of Essen looks miserably, surroundings are littered. 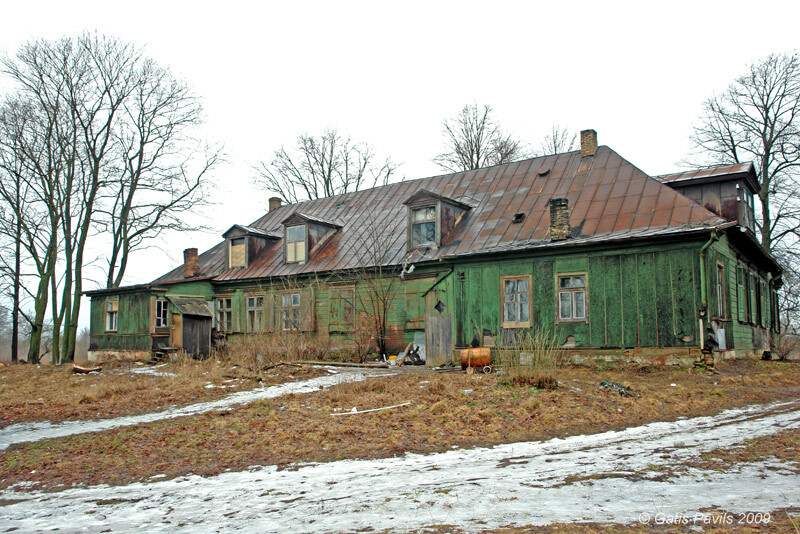 But in February 2009 it was not fully abandoned. Remnants of park, beautiful trees in the hills around, ancient feel leaves hope that in future this beautiful place will be honoured again. 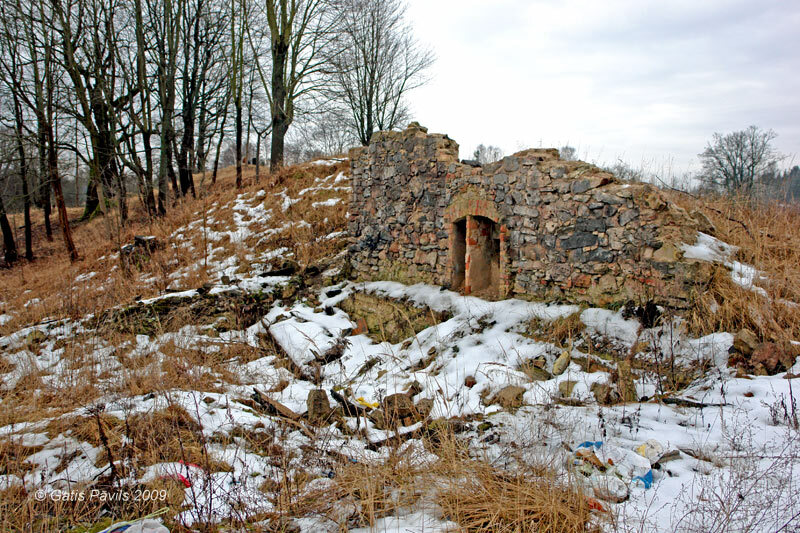 Ruins of the cellar of Essen manor. 2009.01.29. Broce J.K. Zīmējumi un apraksti, 2.sējums, Rīga, Zinātne, 1996, pp.270.,318. Enciklopēdija Rīgas ielas, 2.sējums, Rīga, 2008, p.288.